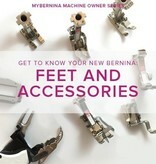 Join us for the third class, Advanced Features, in our MyBERNINA Machine Owner class series. Your machine purchase with Modern Domestic includes this informative (and fun!) instructional class on all your new machine can offer you as a sewist. 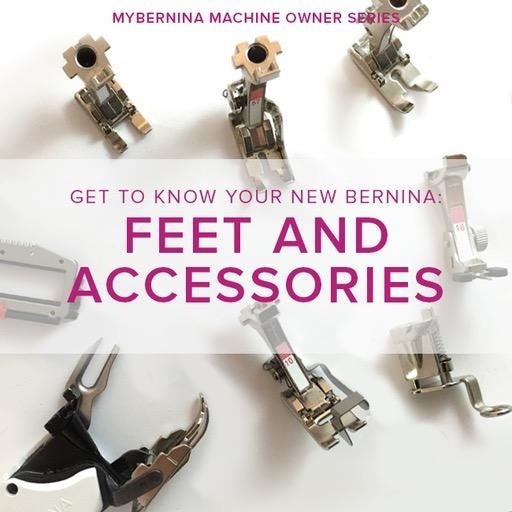 We will explore specialized BERNINA presser feet and accessories: some that came with your machine and some that did not. Guaranteed you will have a great time learning about all the different feet and accessories you can use to sew your dream projects! The following feet may be used in class. Bring yours if you own them, or use our classroom feet to stitch our your samples. Other feet may be used in class in addition to the ones listed. It is possible that a foot listed above will not be used in this class.